Escape to the great outdoors with the Northern from Infinity Instruments. 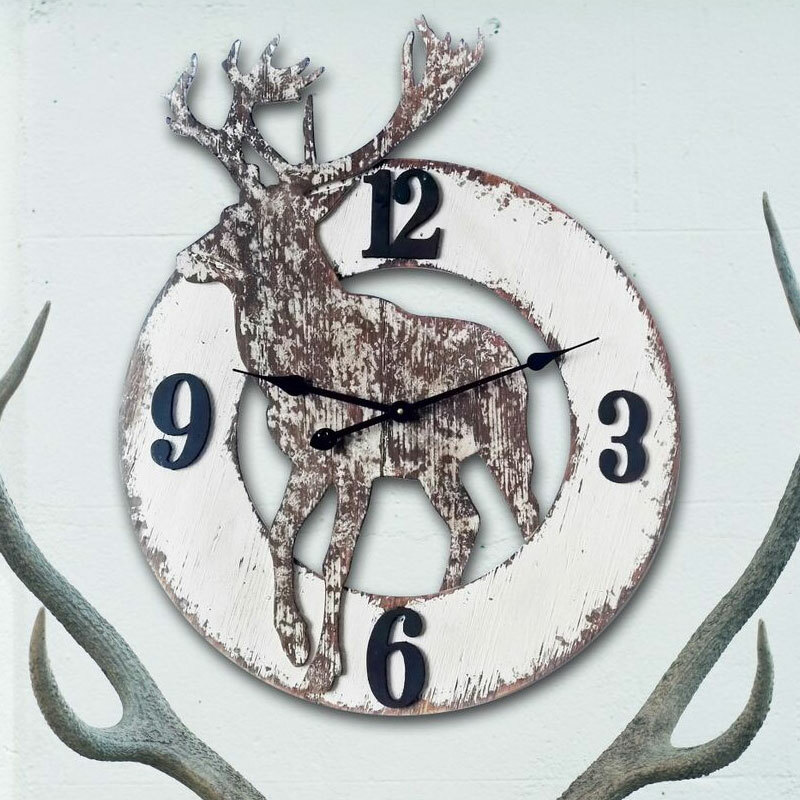 Accented by the silhouette of a sixteen-point buck, this clock will help the avid outdoorsman in your life keep track of time. The weathered finishing of the clock gives it a rustic appeal perfect for any cabin or hunter's lodge. The bold black hands and the numbers marking 12, 3, 6 and 9 stand out against the white-washed back face.